A card which knows no boundaries. 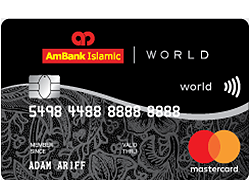 With worldwide recognition, AmBank MasterCard/Visa credit cards helps you pay with peace of mind. Credit Card repayments can be made online via Internet Banking, our 24 hours e-banking centres or over 180 branches nationwide. 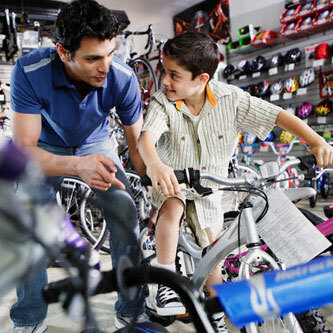 Take advantage for our 0% easy instalments for up to 36 months at selected merchants and get the things you want now! Travel with absolute peace of mind knowing that you and your family members are protected with RM1 million travel insurance coverage when the full fare of airline tickets are charged to the Card. For travel insurance policy, click here. 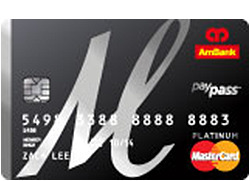 Shop online with utmost confidence with your Platinum MasterCard, knowing that your online purchases are safeguarded. 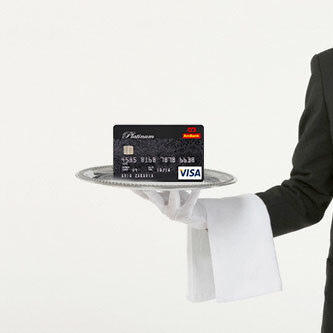 Please be informed, all existing Hilton Premium Club (HPC) members are still able to enjoy the Current membership benefits until the card’s yearly membership expiry date. 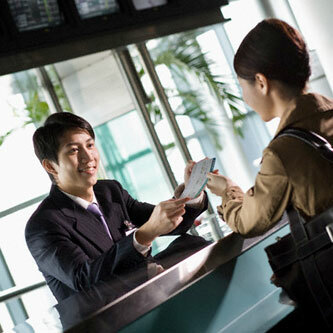 Members will then be enrolled in Hilton Dining Asia Pacific (HDAP). Up to 25% OFF dining discount at all participating Hilton Hotels across 16 Asia Pacific Countries. 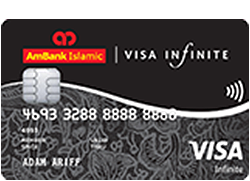 Note: The above privilege is extended free to Cardmembers with a minimum spend of RM30,000 over a period of one (1) year from the date of successful membership enrolment. Get admitted to a whole realm of private Wealth Management services on a lower entry threshold. 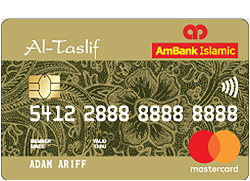 For more information, please call AmPrivate Banking Client Service Department at 03-2036 1316. 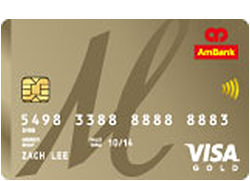 24-hour Visa / MasterCard Customer Service and Concierge Service that assist cardmembers with travel information, entertainment planning, general medical information, doctor & hospital referrals, business services, etc. 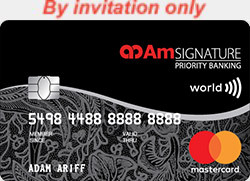 For more information, log on to www.mastercardmoments.com. 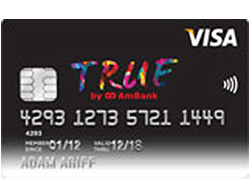 Or for Visa Concierge Service, log on to www.visa.com.my/personal/benefits/concierge.shtml. 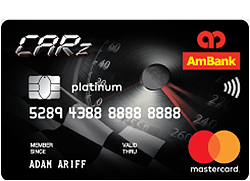 Earn 1 AmBonus Point for every RM1 you spend! 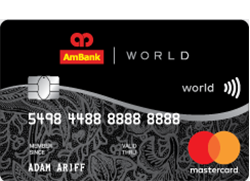 2X AmBonus Points for overseas spend. 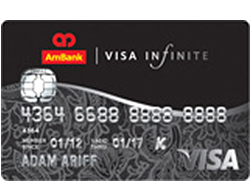 The reward of 2X AmBonus Points is only applicable to card transactions outside Malaysia. 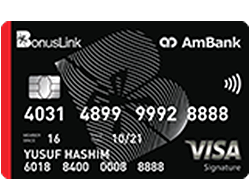 All online transactions are not entitled to 2X AmBonus Points regardless the country the Cardmember is in. Airline Miles conversion at over 50 airlines partners. 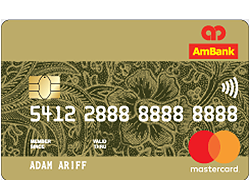 Get more whenever you use your AmBank Card for your purchases. 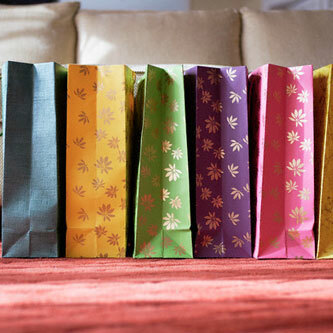 Each spend will get you points for redemption of some awesome products. Redeem On-the-Spot with AmBonus Points at participating outlets. 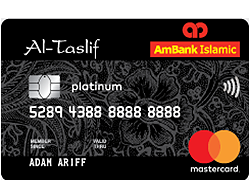 With our 0% Easy Payment Plan program, you can now enjoy up to 24 months interest free instalment payment on hundreds of products ranging from home and kitchen appliances to handphones at our participating merchants. 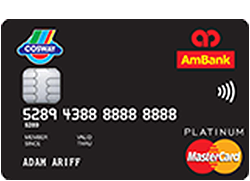 Just visit any of our partner outlets and ask for our AmBank Easy Payment Plan when you make your payment. 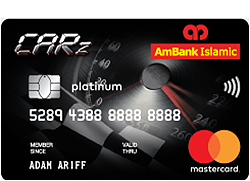 You can enjoy 3 or 6 months installment payment plan with just a minimum purchase of RM500. 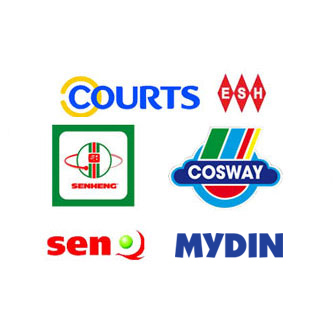 Click here for the list of participating merchants. 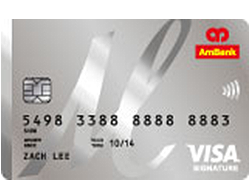 Click here for the terms and condition of the 0% Easy Payment Plan. No more late payments. No more long queues. Now, with AutoBillPay, your utility bills and insurance payments can be automatically debited from your Credit Card account. Note: The SMS enrolment is applicable for cardholders with DiGi, Maxis, Celcom, U Mobile, Tune Talk and XOX mobile service. Standard telco charges may apply for each SMS request made. Click here to download the AutoBillPay Enrolment Form. Click here for the terms and conditions of the AutoBillPay service. 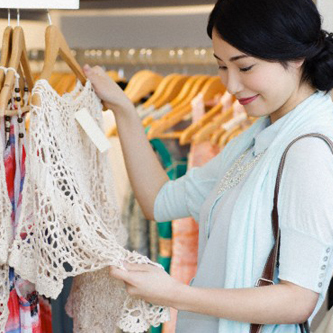 Convert your retail transaction into affordable monthly instalments. Call +603 2178 8888 to apply. 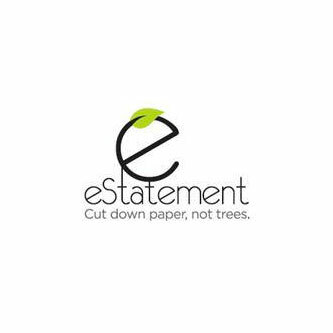 View and save your eStatement anytime, anywhere. eStatement is secure and protects against the risk of wrongly delivered and stolen mail. The SMS enrolment is applicable for cardholders with DiGi, Maxis, Celcom, U Mobile, Tune Talk and XOX mobile service. Standard telco charges may apply for each SMS request made. Subscribe to this service now to spend without worrying about exceeding your assigned credit limit and enjoy a better peace of mind. Call our 24-hour Contact Centre at 03-2178 8888 to apply. 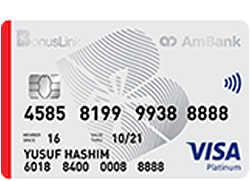 Excess Limit Service is a chargeable service at a fee of 2% of the amount above your credit limit plus applicable 0% GST or a minimum of RM50 plus 0% GST (whichever is higher) when this service is trigged, subject to the conduct of your account. 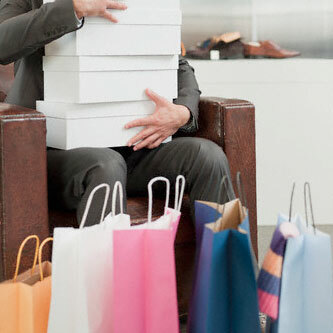 The amount of excess limit granted is at the full discretion of the Bank. First 3 supplementary cards are Free-For-Life. 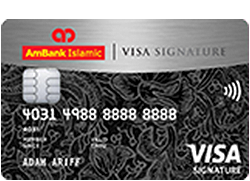 4th supplementary card onwards is RM188 p.a. Minimum age for Principal Card applicant: 21 years old and above. Minimum age for Supplementary Card applicant: 18 years old and above. Click on the links below to download your Application Form. Kindly print and complete the Application Form accordingly. Fax the completed Application Form, I.C. and required income documents to 03-2162 3067 / 2167 3344. Alternatively, You Can Leave Your Details. Please complete the fields below and we will be in touch! Thank you for your interest in the AmBank Platinum Card. Income RM36,000 – RM48,000 p.a. RM49,000 – RM59,000 p.a. RM60,000 – RM79,000 p.a. RM80,000 – RM119,000 p.a. RM120,000 & above p.a. 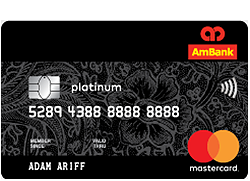 Thank you for registering in AmBank Platinum Card!